Kingston graduate Harsha Rathnayake tells the story of how he managed to establish his own rubbish company. Kingston graduate Harsha Rathnayake proved that the impossible is possible when he worked three jobs to save enough money to start his own rubbish removal company. 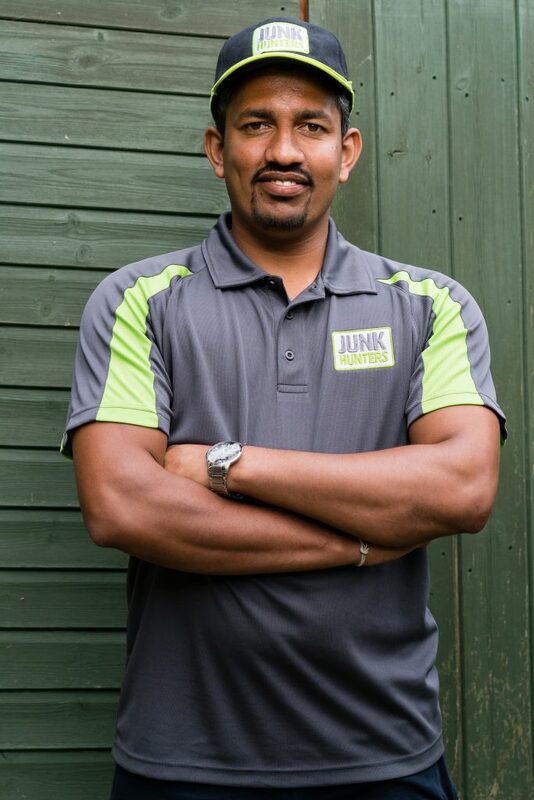 Today his rubbish removal company, Junk Hunters, boasts £1m in turnover – over 14 times as much as when Rathnayake first started the company by himself eight years ago. Now the successful entrepreneur and graduate is aiming for an even bigger achievement. Rathnayake is planning to one day become the Sri Lankan president. Have you ever wondered what sort of stuff people throw away? Rathnayake might be one of the few who knows the literal meaning of the saying “one man’s trash, another man’s treasure”. Working as a rubbish collector since he first got a part-time job in 2004, he has a lot of stories to tell. Once, for example, he found small statues in a costumer’s garden and sold them for £2,200 each. The customer wanted them to be destroyed. Another time he found original copies of books by Charles Dickens and got £500 for them on Ebay. Rathnayake also explains that he has cleared more than one house that was turned into a cannabis farm. “Once we found a parcel with around 2600 grams of cannabis!” he says. According to a quick Google search for “street value weed UK” that amount of cannabis is worth around £39,000. It was taken away by police. It is a long time since Rathnayake found himself struggling to understand what the lecturer was talking about in his final year studying automotive engineering at Roehampton Vale campus. With the help from dictionaries, YouTube videos and some friends, Rathnayake slowly began to learn the English language, but explains that it was a challenging time. Once dreaming about becoming a automotive engineer, Rathnayake says that the time he spent at Kingston University opened his eyes to the opportunities of business. “We had a subject called business application in engineering and that was when I first heard about business. The lecturer was talking about Richard Branson and all these people and I started to search for those people and thought: ‘you know what, I want to study more of business’,” Rathnayake says. He adds that this was what led him to take an MBA in Business Administration at Sunderland University after graduating from Kingston. While studying, Rathnayake also worked as a part-time driver and rubbish collector for a rubbish removal company in Kensal Rise. This particular part-time job ended up being his ticket to a more comfortable lifestyle. When Rathnayake finished his MBA in 2010, the boss of the rubbish company Rathnayake worked for wanted to shut down the business and move back to India. 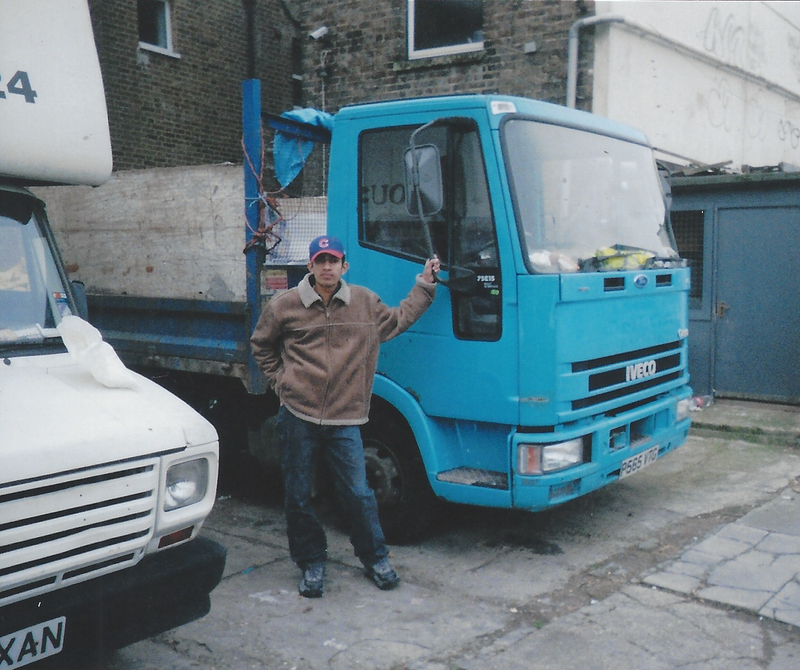 He then gave Rathnayake an ultimatum: choose to receive his final wage of £1200 or keep the company’s truck worth £700 and start up for himself. Rathnayake chose the latter. “When I started I had £160 in my hand,” Rathnayake says. He explains that he was declined by many banks because of his credit history in the UK. The solution became two part-time jobs in addition to his one-man-business. Every morning at 4.30am, Rathnayake would wake up and deliver newspapers to 180 different houses for a newsagent. During the daytime he talked to people about his company, tried to find new costumers and drove around to remove rubbish where he got jobs. In the evening he delivered take-away food for an Indian restaurant before getting to bed at 1am, trying to get a couple of hours of sleep before getting up at 4.30am for another day and another 19 hours of work. “It was a hard time,” he admits. His efforts eventually paid off. Junk Hunters has gone from being one man with a van to becoming a well-established rubbish removal company with high-profile costumers, such as the NHS and Samsung, as well as offering punctual next-day-services for anyone who wants something cleared from their property. 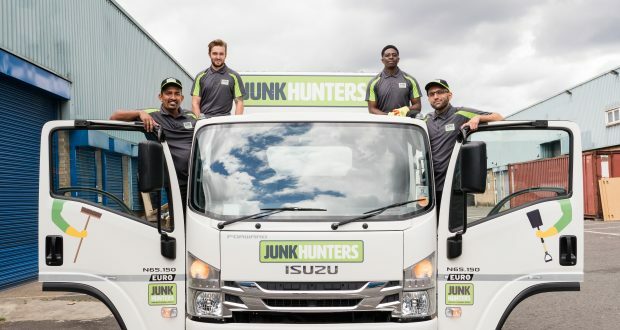 Junk Hunters is also the first rubbish removal company in the UK to launch a franchise model and is operating around England in Liverpool, Birmingham, Nottingham and Brighton as well as in London. Rathnayake explains how the UK is a great country for start-ups because of all the opportunities. Talking about the current situation of corruption in Sri Lanka, he reveals his next big plan: trying to make a change by becoming a politician. Rathnayake says saving up for that dream is part of the reason he wanted to grow his business using a franchise model. “I will go into contest for the provisional councils in 2022 first,” he says without saying too much. Being genuinely concerned with the development of environmental issues, Rathnayake argues we have a responsibility: “What are we going to leave for our children in a 20 years time?” he asks. Landfill slides is a big problem in Sri Lanka and rubbish management could save lives. Last year, over 30 people died in a landslide when 145 houses were buried in the collapse of the Meethotamulla garbage dump, one of the slums in Colombo. “I did some research about the rubbish dump that collapsed and I found out there’s a group of people who are making a living out of that. The machinery that works that dump belongs to politicians and they don’t want the problem solved because they’re making money out of it,” Rathnayake says. “They make money, but they don’t care about people’s live,” he continues. Rathnayake has been in contact with the deputy minister of the environment in Sri Lanka about possible solutions, but explains that a slow government approach and corruption makes it hard to implement change. “If I don’t go into politics I have no reason to go back to Sri Lanka,” Rathnayake says.